This is a short list of my favorite stories from throughout my career. Check out my latest articles here. 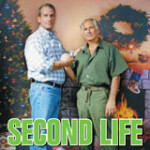 Second Life: Sentenced to life for drug smuggling, George Martorano spent decades in prison with no hope for release. Then John Flahive answered his call. 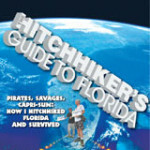 This piece won second place in serious features at the 2007 Sunshine State Awards sponsored by the Florida Society of Professional Journalists. 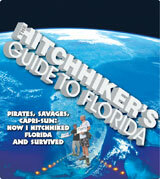 Hitchhiker’s Guide to Florida: Pirates, savages, Capri-Sun – how to hitchhike Florida and survive. I joined an experienced hitchhiker for a wild trip around the state, including a ride with a van full of thieves. 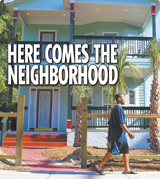 Here Comes the Neighborhood: Things are looking up in St. Pete’s Bartlett Park. 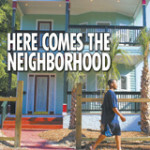 So why do the improvements fill some residents with dread? This article won second place in features at the 2008 Griot Drum Awards sponsored by the Tampa Bay Association of Black Journalists. 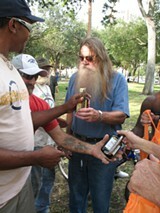 While musing in his jewelry store on Pass-A-Grille beach, Evander Preston had an idea to enliven the moods of the homeless during the holiday season: Pass out pints of bourbon and cheap cigars. 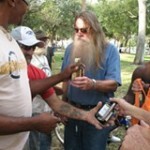 This article caused enough of a stir for the city council to propose a ban on handing out alcohol in public. It did not pass. 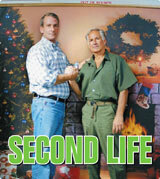 I’m the only reporter to convince Ybor City’s most recognizable character to divulge his real name and history. 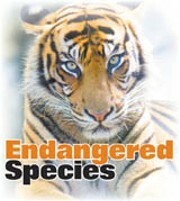 Endangered Species: How safe is Tampa’s Lowry Park Zoo? After a tiger escaped an enclosure and a zoo employee had to kill it, I delved into long-standing issues at the popular Tampa attraction. My dogged reporting upset zoo officials enough to send my editor a “cease-and-desist” letter. 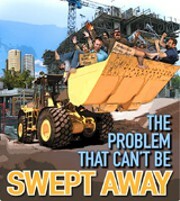 The Problem That Can’t Be Swept Away: Will the homelessness problem in Tampa Bay get worse before it gets better? I tracked the growing homeless population for months, interviewing all stakeholders involved, for a comprehensive look at Pinellas County’s most pressing issue. One month after my story printed, St. Petersburg made national headlines when officials slashed tents and evicted several homeless from one encampment. Elderly issues are a hot topic in Tampa Bay. I delved through records to find out some surprising facts about a crumbling senior housing building, even tracking down one of the culprits at his home. I continued writing and reporting during my teaching stint in South Korea and created several narrated videos about life there. I titled the blog series: Alex and Chickpea Do Korea (“Chickpea” was the affectionate name I gave my girlfriend at the time). This is a short video about a zoo located in the heart of Daegu, South Korea. In one of my first videos of the series, I visited the dynamic port city of Busan to attend the 2010 Busan Fireworks Festival. Intrigued by “Korea’s San Francisco,” I arrived early to see the sights, smell the smells and eat wriggling octopus from the Jagalchi Fish Market. Here’s a look at that day, all the way to the exploding climax! Over the 2010 Chuseok holiday, I visited the mega city of Seoul. We embraced the cultural heritage, ate bizarre foods and, of course, had some good times with the locals!